This tote was inspired by a lobsterman's bait bag and is created using the same marine grade materials. 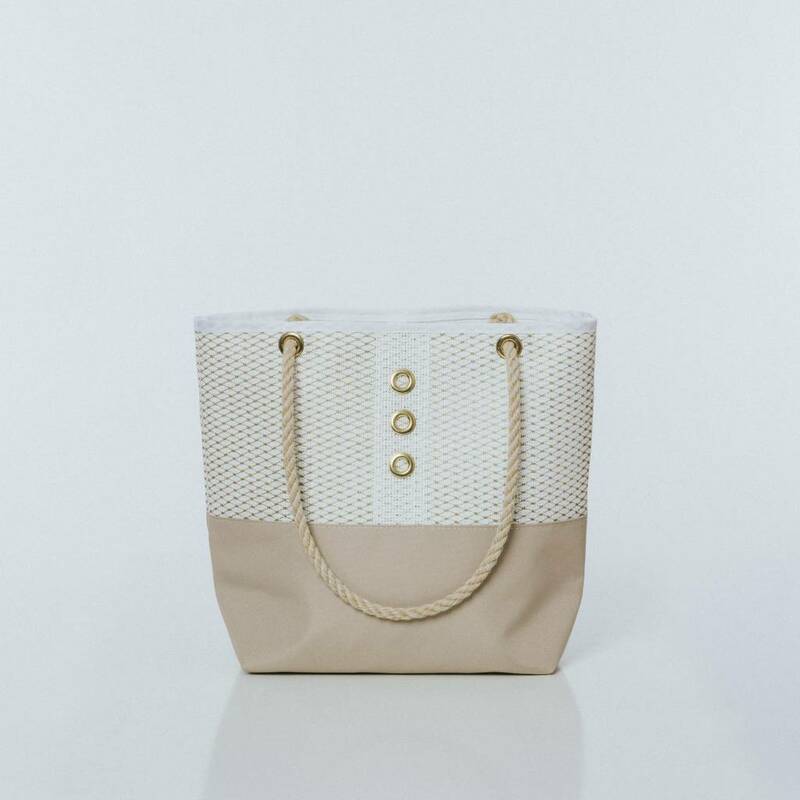 Our tote is the perfect day bag and goes seamlessly with any of our other styles. Durable, authentic, and ready to go wherever life takes you. "15L x 18"D x 5"W.
If you wish to insure your package let us know and we will add this to shipping cost. We are not responsible for lost or stolen boxes. We allot 1-2 weeks for orders to be manufactured and processed for shipping, if you need your purchase within this time frame please contact us immediately after placing order. Please include order number and email address for best contact.